Ben was initially introduced to the world of fine tailored clothing and sportswear when he took on his very first job at the local gentlemen’s outfitters in his home town of Montclair, NJ in the USA. Since then he has worked for the likes of Ralph Lauren, suiting manufacturer Grieco Brothers, and Nordstrom before founding online discount luxury retailer eHaberdasher.com. His passion for high quality and excellent value has led him to start his own eponymous line of clothing, and is much of what is showcased here at The Wardrobe Wimbledon. When not at the shop Ben enjoys spending time with his wife and three teenage children. To unwind after a long day he can often be found at the piano tinkering with Chopin and Rachmaninov. For sport, while he detests running as exercise he will gladly chase a frisbee in pickup games of ultimate for hours on end. After growing up surrounded by Welsh beaches, Rory has traded in his wetsuit for its more sartorial brother, although his love for the outdoors is still clear for all to see in both his socks and suit linings. 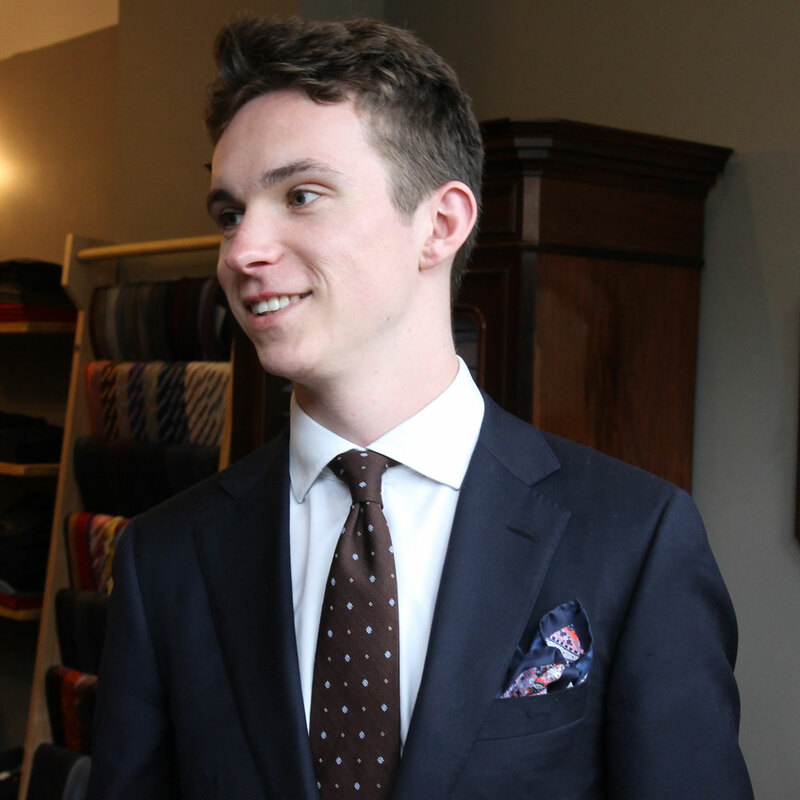 Having arrived from Harrods this March, Rory has had plenty of experience dealing with luxury products and has developed a good understanding of what it means to create a unique experience for each person that walks in to the store. In his spare time, he often finds himself either in the pubs of East London or in the quiet of his own living room listening to a record. As the self-declared tea-maker of The Wardrobe Wimbledon, Rory is always available for a sit down and chat about what we have to offer over a cup of Yorkshire’s finest. Timothy came from working in finance to getting his hands stuck in many different projects. Working as a curator’s assistant at a contemporary art gallery to helping set up a scented candle company, he gathered an in depth knowledge to aesthetics and creative direction. 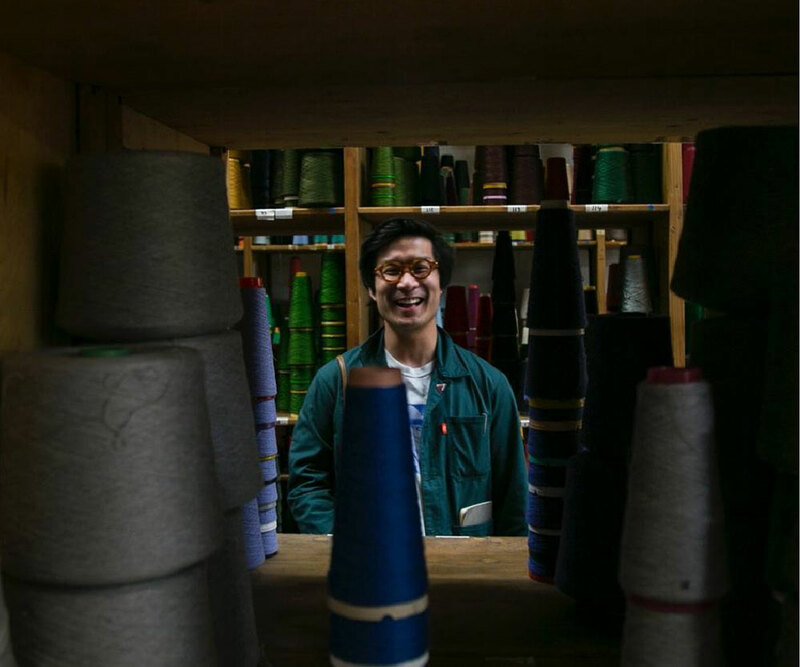 He has always been interested in menswear from a young age and has developed that into a love and interest of quality fabrications and manufacture.